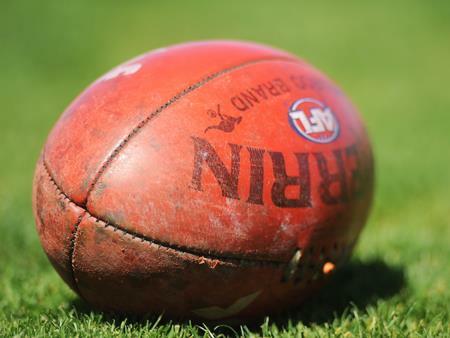 Author NICOLE HAYES reflects on her love affair with footy as the AFL Grand Final approaches. A must read for any Australian expat who grew up with the feel of a Sherrin in their hands, and the rush of taking a speccy in their blood. IT’S footy finals time in Melbourne right now, and I have to say, it never gets old. My love affair with Australian footy started when I was a kid, growing up in the Melbourne suburb of Glen Waverley. In the 1980s, Glen Waverley was mostly just a lot of paddocks, football ovals, and wide, newly rolled streets, dotted occasionally with an AV Jennings cream brick veneer and a lot of unfinished building sites. The shops closed from noon on a Saturday until Monday morning, and the nearest cinema was nine kilometres away in Knox City. There really wasn’t much else to do in those long winter months except play footy. So that’s what my twin brother and I did, joining the Glen Waverley Rovers in the Under 9s; staying at the club for our junior years. I fell quickly in love. I can still recall the feel of a Sherrin in my hands, the wind in my face, and the smell of mud thick in my nostrils. The rush of taking a speccy, and the resounding thump of a well-aimed torpedo were about as exciting as my life got back then. I couldn’t get enough, and my brother and I played every chance we could. Actually, when I say “we” played footy for Glen Waverley, what I mean is, my brother played, while I was restricted to joining in at training and watching wistfully from the boundary line every Sunday afternoon, hoping I might one day get a game. I wasn’t eligible to play real games. Not because I wasn’t any good, but because I was – am – a girl. When my coach requested I be allowed to play, the football administrators informed him that football wasn’t “safe” for girls. A couple of years later this ban was lifted for girls under 14, and more recently a revision of the rule has allowed girls up to 15 to play in mixed teams on a case-by-case basis. There are whole competitions exclusively for girls and we’ve had the first ever women’s only AFL match as a curtain raiser before the Western Bulldogs versus Melbourne Demons match earlier this year. But for me, all that came too late. By the time girls could play, I was ensconced in secondary school and had found my way to the steps of Glenferrie Oval – the home of the Hawthorn Hawks – where I deposited myself for a good chunk of my teenage years, cheering for the Hawks every week with the kind of passion only a true sports fan understands. Back then I went to every match and never missed a grand final at the MCG. But as the ticket prices went up and the travel bug bit too hard to resist, it became an annual pilgrimage to find a local pub or bar where I could watch the game, as close to live as licensing laws allowed it. I’ve watched the grand final in a backpackers’ hostel in London, an Irish bar in Honolulu, and a stranger’s lounge room in Tokyo. I’ve yet to miss one. My obsession has levelled somewhat since my teen years, but I’ll be watching the grand final this year, like every year, inevitably recalling that intoxicating mix of churned up grass and the rough leather skin of a worn and muddied Sherrin, wishing I could be a part of it, knowing that it wasn’t my time. Nicole Hayes is the author of The Whole of My World (Random House) a novel about a teenage girl obsessed with Australian footy. In celebration of the footy finals, The Whole of My World is now on sale in the UK. You can buy a copy here, here, and here, among others. You can follow Nicole on Twitter (@nichmelbourne) or check out her website for more information: www.nicolehayesauthor.com.